Keri Ann Reardon is a makeup artist providing on-location airbrush makeup services in Houston, TX and surrounding areas. 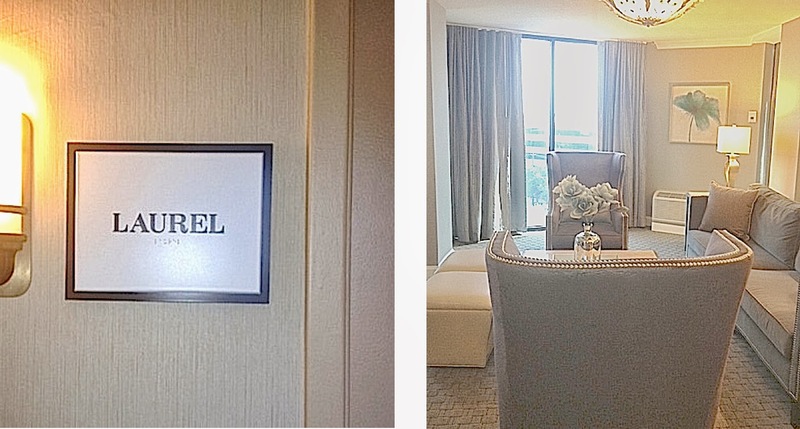 I typically don't endorse specific products or services from my blog, but I was recently invited to visit the Laurel Room at the Sheraton Brookhollow Hotel here in Houston and I was really impressed. 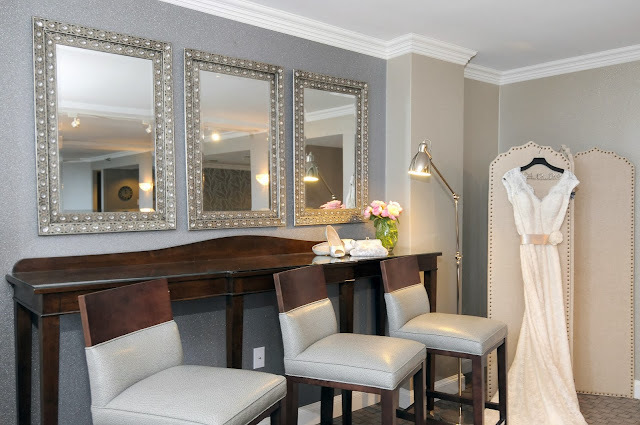 The Laurel Room is a bridal room designed to give the bride, her bridal party and her family, a place to gather get dressed and made up for the wedding day festivities. Since I just wrote a blog about how important the bridal room is to wedding day makeup (please click here to read that blog post), I felt it would be appropriate to feature this unique room on my blog, as the Laurel Room can be a great supplemental gathering place before the bride can enter her selected wedding venue. The Sheraton Brookhollow Hotel is centrally located in Houston at 610 & 290, so it is close to many local Houston wedding venues. 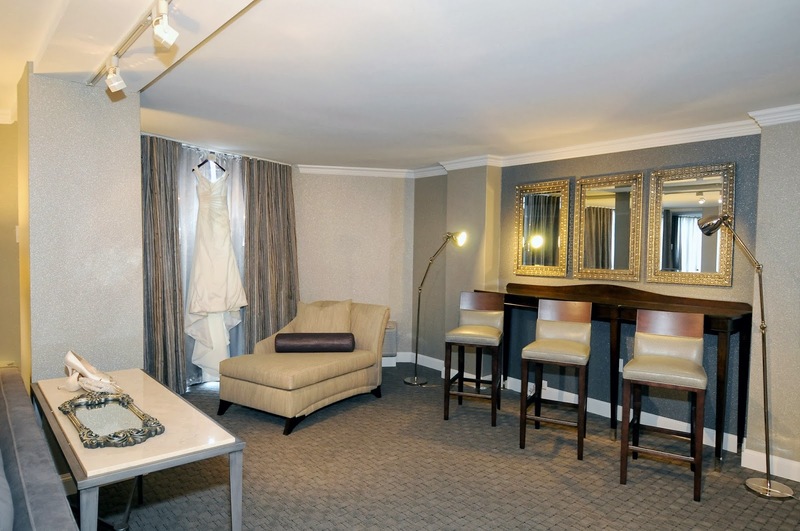 The first thing that impressed me when we walked into the Laurel Room, was the vast amount of space in the room. It appears that several oversized rooms were combined to create a large and beautiful space for brides and their entourage. The room has upholstered furniture, tables and chairs, as well as a large counter and wall of mirrors for beauty applications. As a makeup artist, I loved the space for designated beauty preparations. I was also thrilled to see that there were lots of windows that would allow a good amount of natural light into the room. It is a beautiful and elegant space for socializing, photography and memory making. The Laurel Room also has a bar area for food and beverages and an attendant for the suite is included in the rental fee. I really thought this was an exceptional touch, as brides, and their party, always are happy to have a cold beverage near by and food space competes with space for gifts and bags of other accessories. I am so happy I was invited to look at this space and I would encourage anyone who needs a large space to get ready before a wedding, or other formal occasion, to arrange a personal visit to see the vast size for yourself. This is GORGEOUS! Who was the decorator? Thank you for stopping by Makeup by Keri Ann! The Interior Designer for the Laurel Room was: Louis Kong Architecture, LLC. (504) 837-0764.